When the Huguenots started arriving in England, following the revocation of the Edict of Nantes in 1685, London – where they mostly gathered – had a population of less than 500,000. The arrival of 25,000 migrants in the capital was the equivalent of more than 400,000 migrants arriving there nowadays. And yet London, and the broader country (where a further 25,000 dispersed), absorbed these migrants – or, to give them the name that they brought to our language, these réfugiés, refugees – with little difficulty and hostility. In part this was down to a shared religion. The Huguenots were French (or French-speaking) Protestants, followers of John Calvin and Martin Luther, and the dominant Catholic aristocracy and establishment suspected them of plotting to take control of the country. 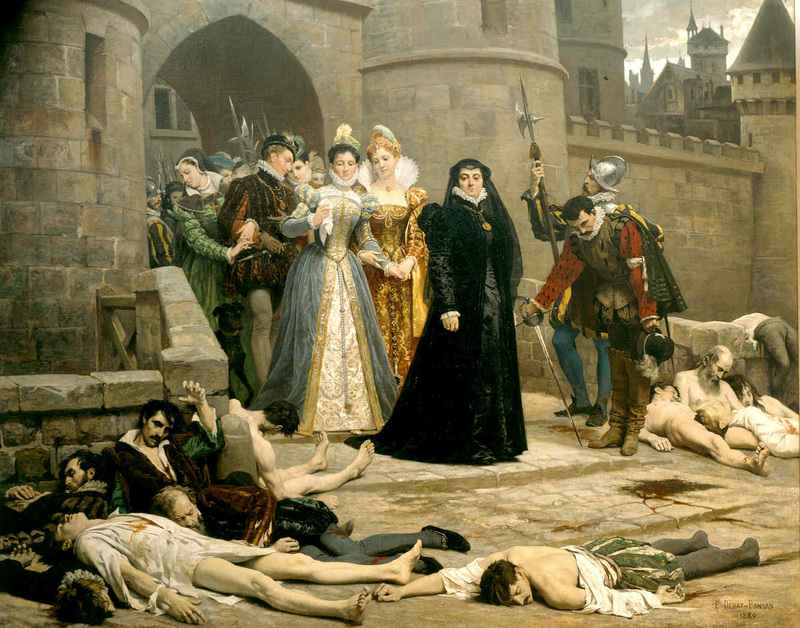 For the second half of the 16th century, France witnessed a series of civil wars – the French Wars of Religion – and massacres (Mérindol in 1545, Vassy in 1562 and St Bartholomew’s Day in 1572, among many others), which seem horribly familiar to a current sensibility. The Edict of Nantes in 1598 was an attempt to draw a line under these ugly episodes, and to give the Huguenots the freedom to practise their religion – but in the years that followed it was a law that was honoured more in the breech than in the observance. When the fiercely anti-Protestant Louis XIV, the ‘Sun King’, took to the throne in 1643, persecution of the Huguenots became more widespread and systematic; if you’re in any doubt, just read up about the dragonnades! This persecution became enshrined in law in 1685, when Louis revoked the Edict of Nantes in an attempt to force all Protestants to convert to Catholicism. Over the next ten years or so hundreds of thousands of Protestants left France. 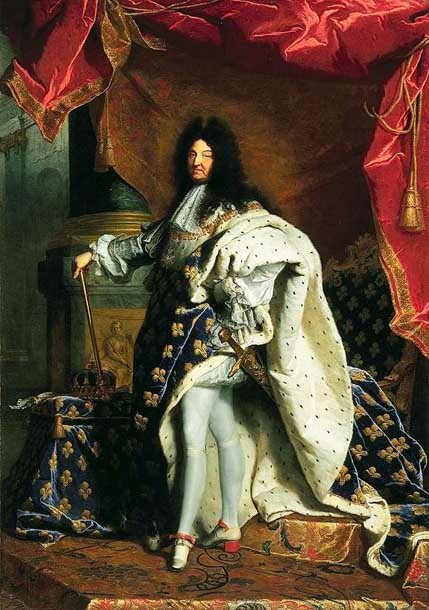 The French king, Louis XIV, whose anti-Protestantism led to the revocation of the Edict of Nantes and the exile of hundreds of thousands of French-speaking Protestants. Louis’ death in 1715 is an anniversary that is being ‘celebrated’ in this year’s Huguenot Summer. Leaving the country was, for most, not easy: the law made it a crime to flee France, and refugees went to extreme (and ingenious) lengths to do so, hiding in casks of wine, bales of straw and piles of coal to make the perilous journey to England (others left for the Netherlands, the Americas, South Africa – any Protestant-friendly country). They brought with them hardly anything in terms of wealth (the current Home Secretary would not approve!) but a richness of talent and skills that would transform the British economy and, some have said, lay the groundworks for the Industrial Revolution. For France it represented a drainage of talent similar to that of Nazi Germany in the 20th century (when ‘Hitler’s Gift’, in the form of the expulsion of Jews, scientists and academics, was a factor in his ultimate downfall), and one from which it, arguably, never fully recovered. 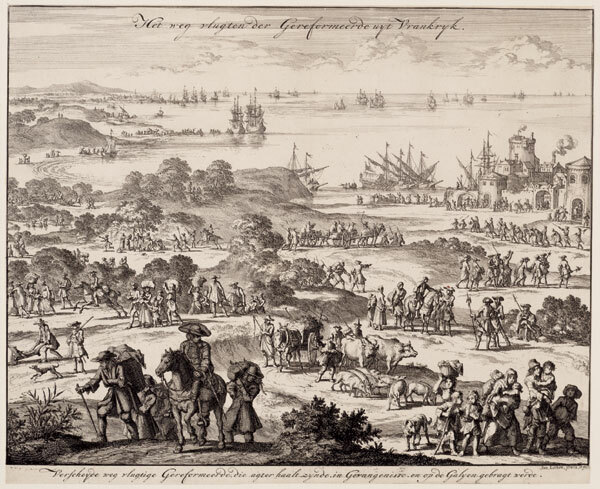 Huguenots fleeing France – an engraving by Jan Luyken, 1696. The contribution of the Huguenots to the economy and culture of this country has been immense, and it is being celebrated this year in the Huguenot Summer, which we are now almost halfway through. This series of national events goes on until September, with activities in Canterbury, Winchester, Norwich and London – where the Huguenots of Spitalfields have been holding summer-long events now for the past three years. The Huguenot Summer is presented as an anniversary, but the tag is slightly spurious – or maybe just a bit macabre. Centenaries and the like normally celebrate the birth of a famous person or movement, but this year marks the tercentenary of the death of Louis XIV. But the Summer could equally stand as the 320th anniversary of the revocation of the Edict of Nantes, a celebration of the first national heritage collection (in the form of the recently opened Huguenot Museum in Rochester) or just an opportunity to reflect on the enduring legacy of these migrants, whose story of persecution, forced emigration and eventual assimilation has so many parallels today. 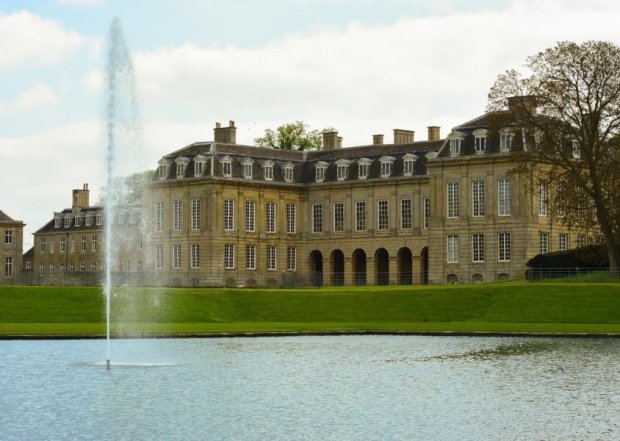 Boughton House, frequently referred to as the ‘English Versailles, which this summer hosts an exhibition on the influence of the Huguenots, to which the Migration Museum Project has contributed. As part of the Huguenot Summer, Boughton House (the home of the dukes of Buccleuch and Queensberry) will be open to the public in August and, by arrangement, September, displaying an exhibition in which the Migration Museum Project is proud to have been involved. A future blog will focus on the story of this remarkable building – the ‘English Versailles’ – for which Ralph Montagu, the 1st Duke of Montagu, enlisted the services of the cream of Huguenot artisans and craftsmen.